The real rate of return is objective, rational, and substantial. It delineates the exact performance of your capital from start point to end point. It has actual value and meaning. Like concrete beneath your feet, it’s solid ground. At its core, it is the truth. But finding the truth is often much harder than it appears. Searching for the real rate of return can be like battling optical illusions of smoke and mirrors. Fund managers, the media, and marketing literature for stock performance proclaim average returns. You’d think that numbers and math would be impossible to manipulate to fabricate a story different from reality. However, every day, average yields are cited as some kind of absolute, predictive authority, assuming the clout that they have no right to take. It’s not fair to you, the one who wants to take control of your financial life and direct your outcomes. You need truth in your financial decision-making. 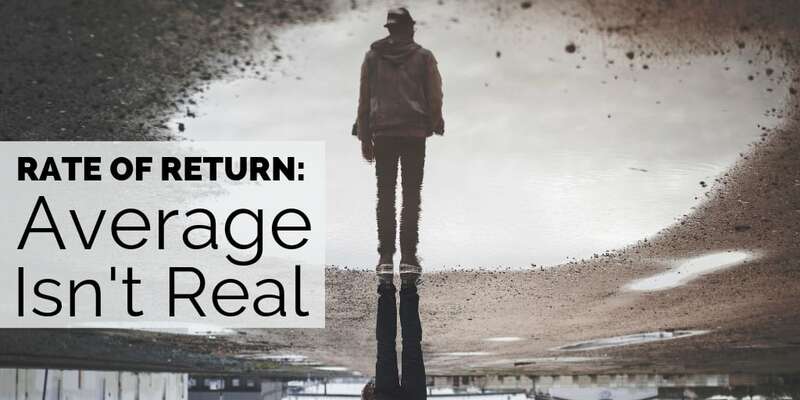 Instead of staking your financial future on the shifting sand of average returns, it’s time you recognize them for the imposter they are, the ghost in the market, a mirage that means nothing at all. In today’s conversation, we’ll show you why average returns are misleading and can’t be taken at face value. We’ll take a more in-depth look at actual market returns over the last 118 years and uncover what they mean. And finally, we’ll reveal how to take control of your financial future and not just hope that your speculations and assumptions are accurate. What do market returns mean for me? How do I calculate real rates of return? What should I do to best take control of my financial future and build time and money freedom? You’ll get the tangible facts and concrete evidence to form your own opinions and chart the course of your own financial destiny. Beliefs don’t create reality, because believing something doesn’t make it true. However, often we cling to our beliefs, hoping they’ll materialize. Even viewing the concrete facts that contradict our perception doesn’t always bring the truth to light. We often need help to interpret what we see, so we can understand the truth, alter our thinking, and know how to respond. Faith and hope don’t create financial freedom. Truth and reason do. 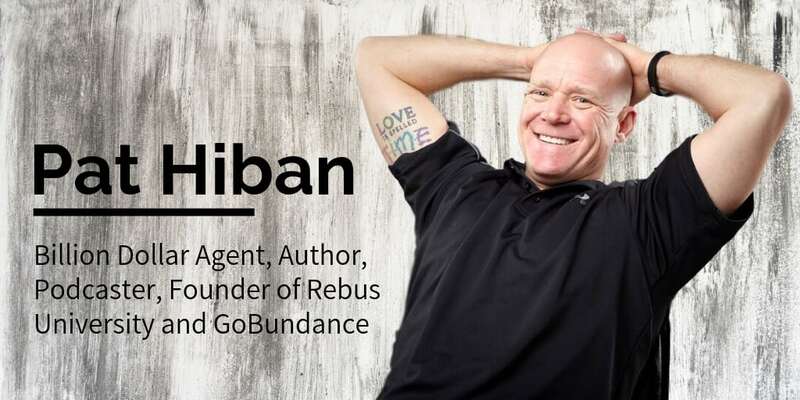 Today’s conversation will challenge your belief system because it uncovers the reality that the typical financial system tries so desperately to hide. The result will be an elevation of your thinking. In thinking differently, you’ll gain the greatest clarity and see how to rise above it, all in the same instant. Your transformation comes along with a disclaimer that certainty often comes from doing the opposite of what everyone else is doing. Understanding real rates of return is part of ensuring your ability to reach your investing goals. But before that, this knowledge will help you calibrate your mindset to fine-tune your goals in the first place, so you actually end up where you want to be. 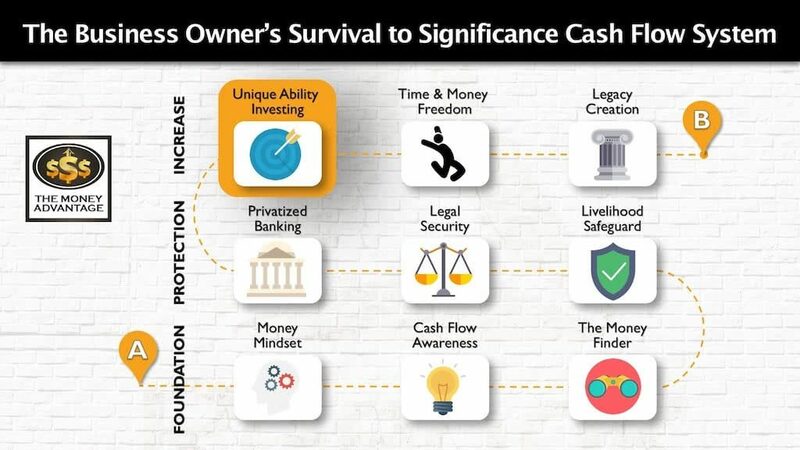 Both investing and mindset are a part of the Entrepreneur’s Cash Flow System. Today’s comprehensive conversation will help you invest well in stage 3. But, to achieve investing success, we’ll help you approach it with the right awareness and mindset in stage 1, so your efforts don’t crumble. The December and early January news was frantic with news about the market. While we can point to U.S.-China trade tensions, a cooling economy, and rising interest rates, causality does little to quell our concerns about the future. Should we be bracing for a crash, volatility, or something else? Why is my stock value going down, despite positive average returns? What does it mean for me and my future? The uneasiness highlights the disconnect between the stated and reality. There’s an unnamed, incomprehensible thing that we all feel, but don’t know how to quantify or describe. It’s that, despite our assertions, we have no idea what our actual future market performance will be. But why? Why do we constantly believe the cheery predictions and analysis of average rates of return when our experience seems to miss the mark consistently? Many people believe that they can expect at least 5 – 7% gains each year in the market, that the market will always grow over the long haul, and that their money will compound over time. At the same time, your experience of market losses, and the anxiety about your own portfolio suggest that our expectations are wrong. Instead of wondering, let’s compare those assumptions against reality, viewing historical performance to check the validity of our assumptions. No wonder your experience isn’t matching your expectations! From these statistics, we see that the common assumptions are incorrect. 5 – 7% gains don’t always happen. Actual performance doesn’t always rise. And longer investment isn’t always better. Let’s dig deeper to find out why. 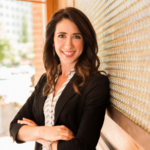 To do so, we’ll explore several key variables that impact your real rate of return that are often swept under the rug and ignored. These include the distinction between average and real returns, the start and end point of your investment, the impact of losses, taxes, inflation, management fees and transaction costs, adding investment over time rather than all at once, and the fallacy of expecting the future to mirror the past. * It’s important to note that these returns do not account for transaction fees, management fees, or administrative expenses. What Is the Difference Between Average and Real Rates of Return? Average returns are taken by calculating each individual year’s return within a period, then summing each return, and finally, dividing the total by the number of years in that period. For instance, consider a four-year period with annual returns of -20%, +20%, -60%, and +100%. The sum total of all returns would be +40%. Dividing the sum by 4 years, we arrive at an average annual rate of return over that period of +10% per year. Average returns are often taken to mean that you received the average return each year. Applying this thinking to our example, we would expect a starting $100K investment to gain 10% each year, achieving a total balance at the end of the 4th year of $146,410. However, average returns unnecessarily focus on the incremental changes between years, losing sight of the big picture. To illustrate, let’s trace my actual account value each year if I received the returns listed above. In year 1, I have a 20% loss, dropping my account value to $80K. The following year, I receive a 20% gain, which brings my account up to $96K. In the third year, I lose 60%, taking me down to $38,400. The final year, my 100% gain brings my account balance up to $76,800. Comparing my final account balance of $76,800 to my starting balance of $100K, I’ve lost money. Contrasting the positive 10% return with my actual performance, it seems that we can’t possibly even be talking about the same account. How can this be? 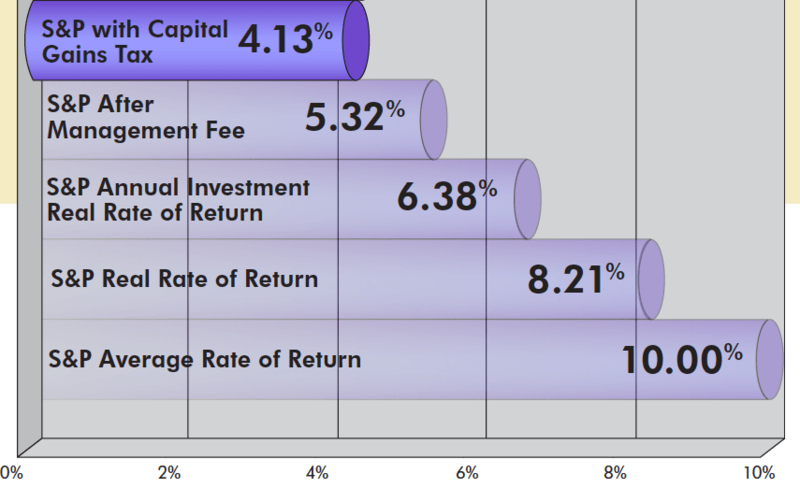 Real rates of return are calculated based on the starting value and the ending value of the account. This real rate of return is finally a meaningful figure. Real returns help me understand why my balance is lower than I started with, whereas average returns bear no resemblance to my reality, whatsoever. Why this mathematical judo? And how does it cause the disparity between average and real returns? In short, it’s because losses are much more powerful than gains. While negative and positive returns of the same number (i.e., +20% and – 20%) carry the same weight in an average return calculation, their real impacts are not equal. If you sustain a loss of any amount, it requires a greater gain to fill your account back up to the starting point. For instance, if you had $100K that lost 10%, it would require a gain of 11.111% to bring your account back up to its original value. The 10% loss drained your account down to $90K. A consecutive 10% gain would only bring you back up to $99,000, leaving you still short of your original investment. The reason this happens is that an equivalent percentage of a larger pie results in a bigger piece as your serving. For instance, 10% of 100K is more than 10% of 90K. This means that losing 10% of 100K is a more impactful than gaining 10% of 90K. When the two different methods of calculations are used, you’ll find a consistent phenomenon. Real returns are lower than average returns any time there are losses involved. This disparity between the positive return required to bounce back from a corresponding loss becomes even more apparent with greater losses. Imagine you had a -50% return, bringing your account down to $50K. A 50% gain would only bring you back up to $75,000, still not back to breaking even. You’d need a consecutive return of 100% to double your $50K and bring your account back to its starting level of $100K. Note that this performance would be slated with a 25% average return, and still yet a 0% real rate of return. Finally, what if you lost 90% of your account value in the first year, dropping your account down to $10K. You would, in fact, require a 900% gain to recover back to 100K. In this case, while your 0% real rate of return states your reality, average returns would proclaim an astonishing 405% average return. 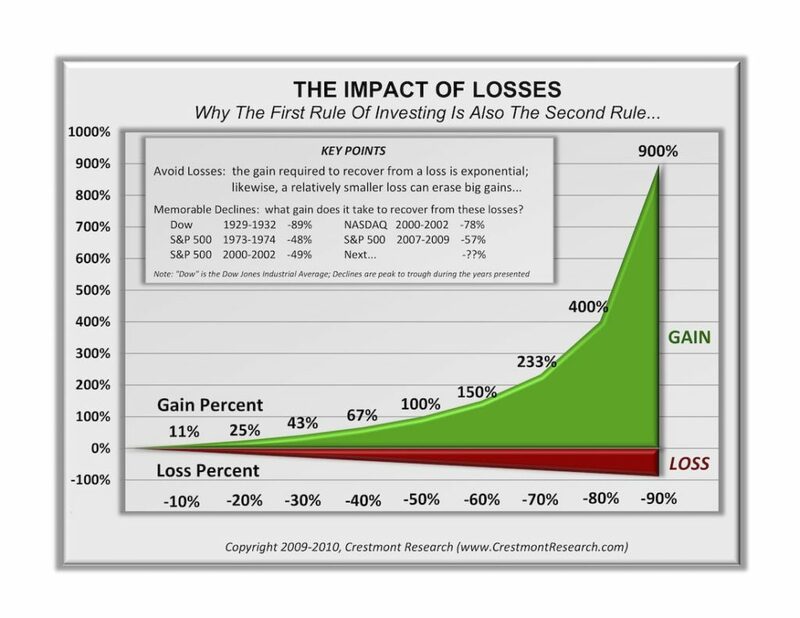 This chart shows the phenomenon that a small loss has the equivalent power of a much larger gain. This demonstrates why losses are tough to recover from. Plugging these ideas together, you see why average returns mean nothing at all. According to S&P Price data from Pinnacle Data, courtesy of Circle of Wealth, history proves out this phenomenon of disparate average and real returns. From 1971 – 2000 (29 years), average returns were 10.51%, while actual returns were 9.28%. In the 29 years from 1961 – 1990, average returns were 7.1%, while real returns were 5.96%. These actual returns here reflect only the impact of market losses. They do not factor in taxes, fees, and the fact that most people do not invest a lump sum at the beginning, but usually contribute monthly or annually, lowering overall returns, since not all capital is invested over the entire period. If we accounted for these additional factors, actual returns are even lower than stated above. Let’s look deeper into the historical data to find out what the real rates of return have been over time. Because one year’s data in isolation doesn’t mean much for our life, let’s find out what the actual returns have been over various periods. Then we’ll be able to clearly see where our assumptions diverge from reality and draw accurate conclusions based on facts. Crestmont Research has done a masterful job of compiling the data of the last 117 years since 1900, presenting the data in a way that provides excellent clarity. 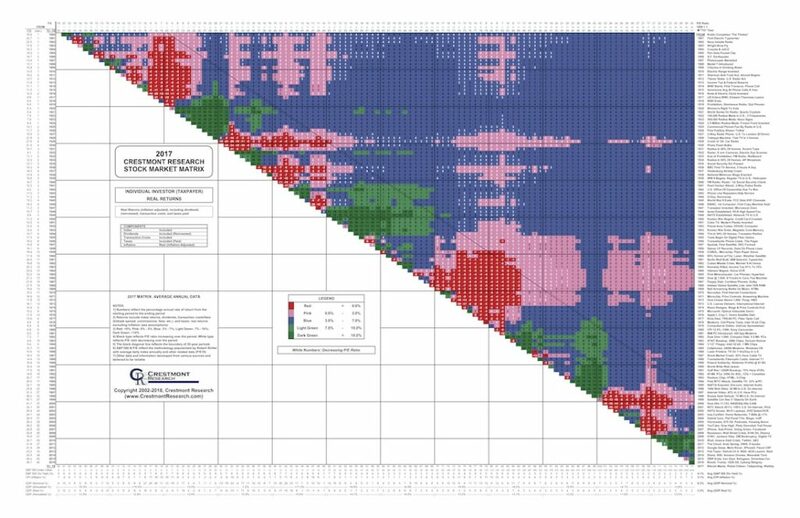 They’ve organized a chart showing the S&P 500 Index’s returns every year. Every data point is the intersection of a start (y-axis) and an endpoint (x-axis), providing the annual real returns over that timeframe. This first chart shows the index’s nominal returns, not including dividends, transaction costs, or the impact of taxes or inflation. Due to the size and visibility of the chart, I’ll point out some important keys. Additionally, you may prefer to view the chart on Crestmont’s website. Looking over the chart, you’ll first notice the color-coded categories of returns over that timeframe. Red is for returns of less than 0.0%. Pink marks the returns from 0.0 – 3.0%. Blue depicts the returns from 3 – 7%. Light green shows the returns of 7 – 10%. And finally, dark green highlights the returns higher than 10%. The solid black diagonal line demarcates the end point of every 20 years since 1920. 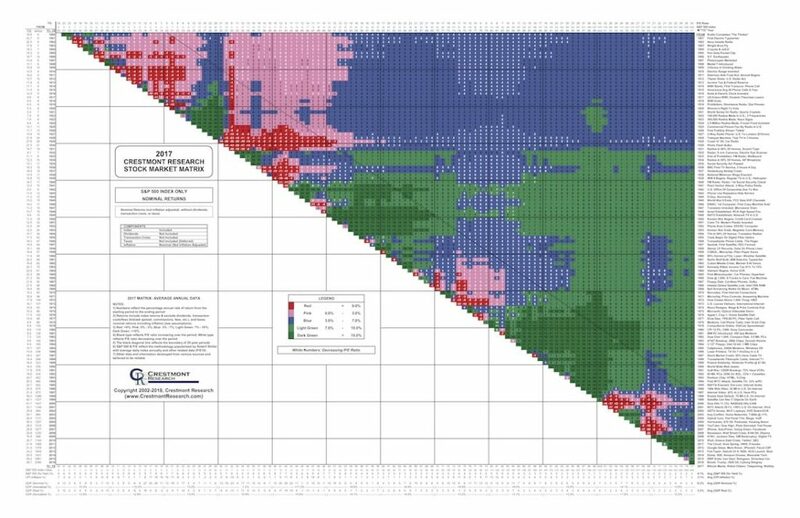 The colors along this line represent the actual returns of any person with a typical working career who invested over 20 years for retirement purposes. If that black line represented your “retirement deadline,” based on being invested in the market over the previous 20 years, you’d have a blind chance at whether things would work out well for you. For instance, if you happened to start your investment anytime between 1900 and 1931, you were just out of luck. From this chart, you’ll notice that only about 15 years out of the 97 periods show real annual returns over 10%. However, about 27 times, your luck would have been a 3% or lower annual real return. The most meaningful conclusion you can draw from this demonstration is that the most critical factors to your performance are the starting point and the ending point of your investment. And, just like you don’t choose the year you’ll be born, those factors are ones that are impossible to select in advance. Let’s take it one step further. This second Crestmont chart follows the annual real rate of return of an individual investor’s actual experience. These returns account for taxation, the reinvestment of dividends, and the impacts of transaction costs, management fees, and inflation, using the figures here. To think this through, let’s first look at taxes. If you achieve a return in a taxable environment, you’ll pay either capital gains tax or ordinary tax on your growth, depending on the venue. This reduces the portion you keep, shaving down your real return. The second major influence in your experience of returns is inflation. Inflation has a sneaky way of reducing your returns by making them less valuable. In a year that you received a 3% return, but inflation was also 3%, your experience of those returns was 0%, concerning what those dollars could actually do for you. Dividends, on the other hand, improve your performance. Dividends would actually increase your returns based on the dividend rate of your investment, with some years providing higher dividends than others. And finally, you need to understand the significance of those seemingly benign and insignificant management fees. Usually falling somewhere between 1 – 2%, the slice seems nominal, so the impact is often dismissed. However, because these fees are charged every year, irrespective of performance, they further weight the already-powerful losses and weaken the gains. For instance, consider a $100K account. In Year 1, you received a -50% return, and in Year 2, you received a 100% return. Your average return would be 25%, with a real return of 0%. Add in a 1% management fee, and your real return drops to -2.49% because of this phenomenon, not the -1% you might expect. Now that we’ve added in all the naturally-occurring variables from our real life, you’ll notice very sparse periods with real returns over 7% (green) here. In fact, along the 20-year line, 36 of those years show less than 3% real returns per year (out of 97 possible periods). For the 20-year mark, only 8 periods demonstrated real returns over 7%, contrasted with 89 periods that had real returns less than 7%. Crestmont Research has focused on observation-based historical data, rather than prediction-oriented future recommendations. So, rather than fortune-telling, they study and analyze the trends of the past. But the value is far greater than impressive number-crunching. These conclusions of substance and fact increase your understanding and help you make rational real-world decisions. You’ll notice that when you start in a downturn timeframe, it’s difficult to recover, no matter how long you stay invested. For example, if you started in 1964, and pulled out in 1984, your overall returns were about -1%, with relatively no chance to have pulled above a 3% real return, no matter how long you stayed invested after that. Looking back over the last 117 years, one thing is certain: it’s all about when you start and when you finish. Staying in the market for the long haul only works out in your favor if the timing of your entry and exit points are favorable. The New York Times article illustrates that if you just so happened to begin your investing in 1961 and exit in 1981, you would have experienced the worst actual returns for a 20 year period of -2% per year, all factors considered, including average taxes and fees and an inflation adjustment. If you happened to win the lottery on timing the market, landing from 1948 – 1968, the best combination of 20 years in the last decade, you would have had an actual return of 8.4% per year. But 1948 is the past, and we don’t get a chance to relive it. In fact, when you start and when you finish are usually the primary factors of investing that you don’t get to control. If you’re starting your investing today, so how do you gamble at being that lucky in the future? 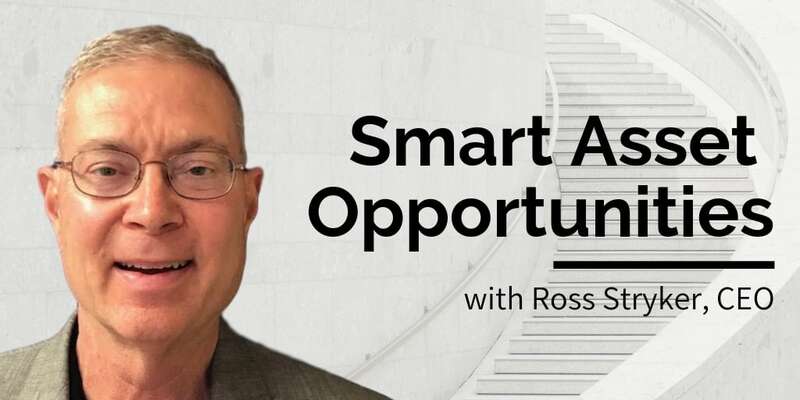 While we can see the trends and timing in the rear-view mirror, it’s impossible to know what’s coming up on the horizon at the point you’ll want to take your money out. Do you have time to wait if your intended finish year isn’t good? With the long cycles, how do you know you started at the right time? One additional consideration that is even harder to measure is the timespan of your investment. 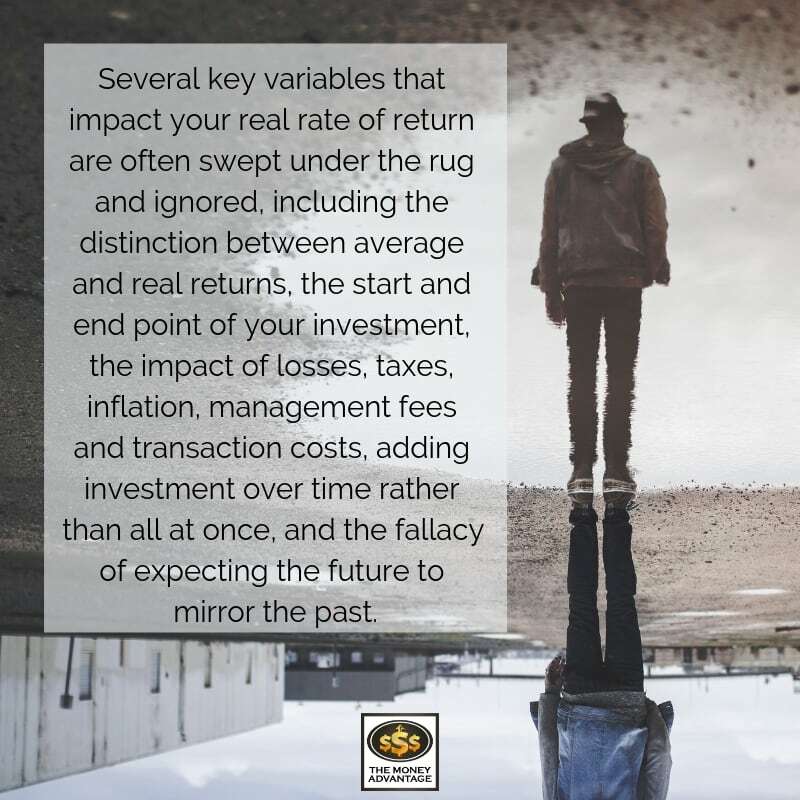 When calculating returns, it’s often assumed that you invested a full lump sum at the start point, waited several years, and then withdrew the entire balance at the endpoint. However, in real life, most people invest over the years, and then consecutively withdraw over the years. This is usually referred to as an accumulation period, followed by a distribution period. The “over time” nature of both periods impacts your overall returns. During your investing years, most people point to dollar cost averaging as the remedy that cures all ails. However, imagine you experienced most of your large gains in the beginning years when there was less total money in your account. If you then suffered losses primarily in the later years, with a more substantial account due to your added contributions, you can imagine the added drag on the overall return. Consider the following depiction of the factors reducing average returns to real rates of return. You’ll notice the reduction from 8.21% down to 6.83% when annual contributions were made to the investment, instead of a single lump-sum investment at the outset. Conversely, here’s how losses can create an even more significant impact during your distribution years. A $1,000,000 account loses 10% in a year that you also make a 5% withdrawal. The compounded 15% loss drops your account down to $850,000, requiring a 17.6% return the following year just to refill your account and maintain your peace of mind that your money will last. Even as we account for all the factors to understand past real returns, it still doesn’t give any certainty for the future. The future is uncharted territory. We can’t guarantee that it will model the past. If we could, which timeframe would we know was about to be repeated? Since average returns are different than real returns, and the past is different from the future, can you see the absurdity in assuming that the next 30 years of real returns will look like any other past 30-year average? If I expect one result, but get another, the lesson is that I am still wrong. Today, we’ve debunked the myth that you can rely on historical average returns as an indicator for your real future performance. The financial industry reports average returns on your investment accounts, using historical average returns for a fund to demonstrate future performance. However, assuming your investing strategy will work out according to past averages is a shortcut of reason that will only lead you to frustration. Average isn’t real. You can’t trust average past returns posing as future real returns, no matter how official they seem. One of the primary reasons that average returns are often naively high is that averages fail to account for the true power of losses. Because of this phenomenon, you can have the fake optimistic news of positive average returns, even while you lose money with negative real returns. To determine your actual returns, you’ll need to determine the difference in account value between your start and end point. You’ll need to account for management fees, taxes, inflation, and your investment over time. Average returns mean nothing, even as an assessment of the past. And, even with as high a degree of sophistication that we can achieve in understanding history, it doesn’t foretell the future. So, why would we naively expect the future to be predicted with as crude a calculation as a historical average return? You may feel that what was solid ground beneath your feet is now crumbling as the arbitrary and meaningless mirage that it is. If so, you are probably wondering what to do with this information so that you can make empowered financial decisions. Firstly, recognize that we are talking about investments with risk, in one category: paper assets in the market. 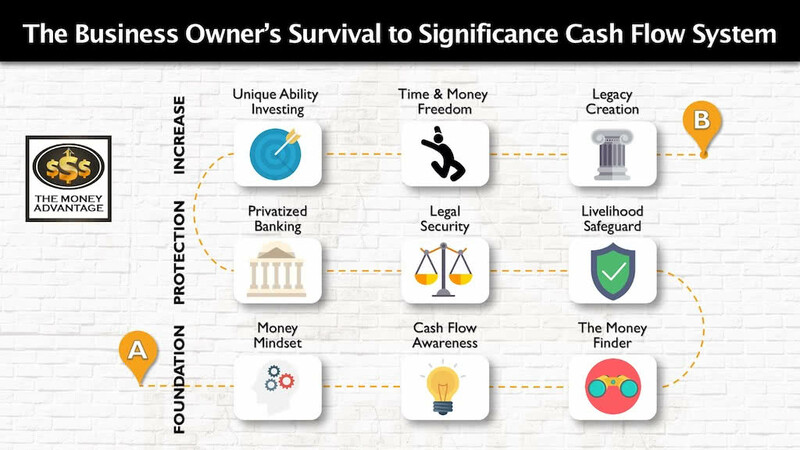 There are other asset classes, such as real estate and business, that when you understand and control them, you minimize risk factors and increase your returns. Besides, there’s another category of what you do with your money: your savings that consists of safe money that holds its value. It’s important to have savings that are safe, liquid, and growing with compound interest, so you have reserves to use in the right investments when you find them. You can combine your savings strategy with investments in a process called Privatized Banking, to increase your control and certainty, and maximize your returns. 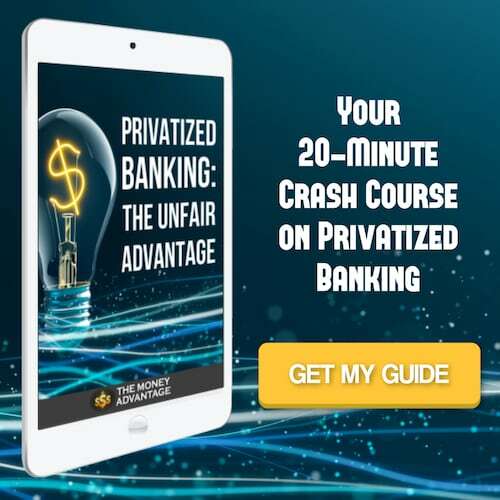 For more information, get our free 20-minute guide: Privatized Banking – The Unfair Advantage.